The word cloud above represents CAB members' emotional reactions to stories during a Story Cicle exercise at the PHACS Fall 2013 CAB Retreat. 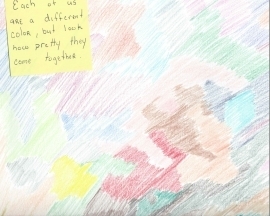 CAB members wrote their reactions to one another's stories on post-it notes. Words that are bigger were more commonly cited on the post-it notes. The variation in font size helps us recognize common themes in CAB members’ stories. All clinical sites participating in PHACS are expected to have a Community Advisory Board (CAB). The purpose of the CAB is to seek input from community representatives in order to reflect the interests of participants and caregivers in PHACS. The PHACS CAB is also a forum for local CAB members to share resources and support. 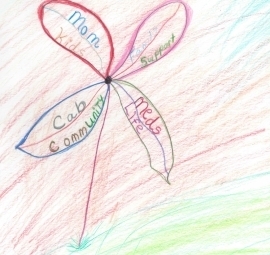 The mission of the PHACS CAB is to serve as a connection between researchers and community members in order to improve and optimize clinical research studies for children/families who are participants, and who are most affected by the research. 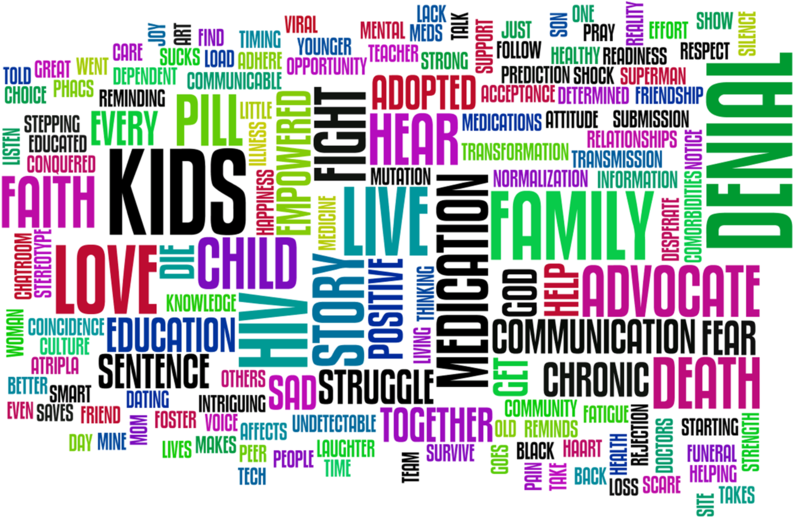 Direct stakeholders: Women with HIV, pregnant women with HIV, and parents/caregivers of HIV-infected and affected babies, children, and young adults who are enrolled in PHACS or similar research studies. Indirect Stakeholders: Community members affected by HIV, including professionals (i.e. social workers, HIV program specialists, etc.). People who were or are currently enrolled in PHACS or a similar research study as a participant. Volunteer helpers, peer trainers, CAB liaisons, and counselors at the clinical site. CAB members should not be responsible for recruiting new participants for research studies. However, CAB members may inform potential participants of how to get in touch with the study site. If you would like to learn more about the PHACS CAB and/or are interested in joining, please contact Megan Reznick for more information. If you are interested in being a guest speaker on a CAB call or have a topic to suggest, please contact Megan Reznick.